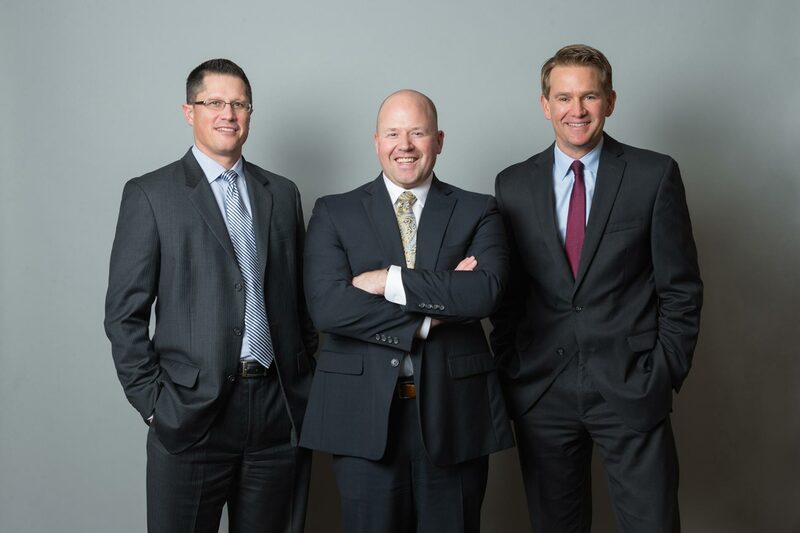 Our attorneys are here for you, in Portland or Salem and are fully prepared to aggressively protect your rights and safeguard your interests, wherever you are in the state. We are the full-service, versatile lawyers of Gilroy, Napoli, Short Law Group. Our lawyers handle cases involving criminal defense, personal injury and civil litigation matters. Our broad experience provides our clients with unique perspectives and innovative approaches to each case. We will work closely with you to understand your specific needs and make informed decisions about the best course of action. Our law firm is dedicated to working beyond our clients' expectations. Serious legal matters require serious legal representation. We have helped a great number of individuals and families in the Portland metropolitan area to obtain resolutions that are efficient and effective in meeting legal goals. Our Portland and Salem law offices represent clients in such Oregon cities as Portland, Beaverton, Hillsboro and many others. Contact us today, from wherever you are in the state: 503-747-7198. We will respond promptly to your email or overnight message and your need for an evening or weekend appointment. We are available 24 hours a day, seven days a week. Se habla espaol. Have you are a loved one been arrested for driving under the influence of intoxicants (DUII)? Being charged with a drunk driving or DUII offense can be a traumatic experience for a driver. In the event that you are arrested for drunk driving, you will need experienced legal representation that can immediately start communicating with the district attorney and judge, prepare your defense, help you reinstate your driving privileges, and work to mitigate penalties and fines expediently. With more than 10 years of experience handling DUII cases, Gilroy, Napoli, Short Law Group can help to defend your driving privileges throughout Oregon. We can obtain a DMV hearing with an administrative law judge. Our Portland DUII attorneys can fight to reinstate your driving privileges or help prevent your license from being suspended. Are you frightened of harsh punishments that come with a criminal conviction? The criminal defense legal team and Gilroy, Napoli, Short Law Group has successfully defended clients facing a broad range of criminal charges from minor theft and drug charges to drunk driving and Measure 11 attempted murder. We are well-versed in misdemeanor and felony cases, and we always vigorously defend our clients' rights and best interests. The lawyers at Gilroy, Napoli, Short Law Group handle cases involving criminal defense, personal injury and civil litigation matters. Our broad experience provides our clients with unique perspectives and innovative approaches to each case. We will work closely with you to understand your specific needs and make informed decisions about the best course of action. Jeff Napoli practices principally in the areas of employment and tort litigation. Prior to co-founding Gilroy, Napoli, Short Law Group, Jeff was a Deputy District Attorney at the Washington County District Attorney's Office. There, Jeff became a seasoned trial attorney, trying over 50 cases. Today, he uses his trial experience to maximize results for his clients. In the area of employment law, Jeff focuses primarily on wrongful termination/discrimination, sexual harassment, racial harassment, retaliation and whistle blowing cases. Jeff's tort litigation focuses on serious injury and accident cases, including, but not limited to, auto accident cases, bicycle accident cases, premise liability and wrongful death cases. Jeff is admitted to practice law in all the state courts in Oregon and the United District Court for the District of Oregon. Additionally, Mr. Napoli is a member of the Oregon Trial Lawyer's Association and the Clackamas, Multnomah and Washington County Bar Associations. Mr. Napoli graduated in the top of his class from Gonzaga University School of Law in 1998. In 1993, Mr. Napoli earned his undergraduate degree from Willamette University where he majored in Psychology and minored in Speech Communication. Providing high quality legal representation to every client is Christopher Trotter's first priority. 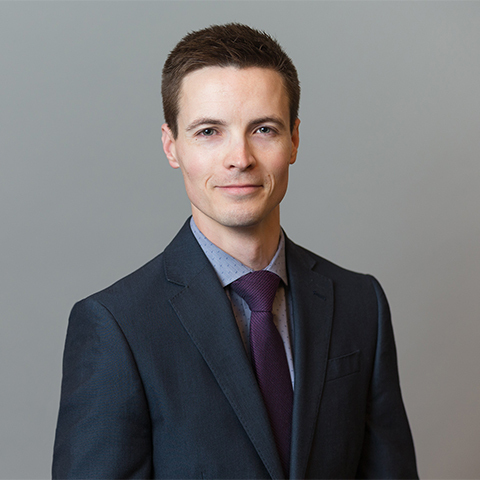 With a strong academic background and well rounded practical experience, he is able to help clients navigate their way through the often complex and confusing legal system. It can be very intimidating to get involved in the legal system, particularly when facing criminal charges. Specializing in the area of criminal defense, Christopher can provide you or your loved one with excellent and aggressive legal representation. Christopher has experience in both criminal defense and criminal prosecution. During his undergraduate studies, he completed a full-time internship with the Office of the State Public Defender. During law school, he gained valuable experience in criminal prosecution working for the Washington County District Attorney's Office. He has appeared in circuit court for jury and bench trials, motion hearings, arraignments, pretrial conferences, change of plea hearings, and probation violation hearings on both sides of the aisle. As a criminal defense attorney, this experience has proven to be very beneficial. As an attorney at Gilroy, Napoli, Short Law Group, Christopher has successfully defended many clients, including receiving "Not Guilty" verdicts at bench and jury trials in various jurisdictions around the state. He is proud to be part of a high quality legal team that works hard to provide excellent legal representation to every client. When you come to Gilroy, Napoli, Short Law Group, you can be confident that you are in good hands. Whether you are facing misdemeanor criminal charges, serious felony charges, a DUII, or some other legal issue, Christopher has the skills, knowledge, and experience to provide the excellent representation you need. Christopher was born and raised in Western Montana. Staying in the beautiful Northwest was a priority for him, so he attended undergraduate school in Idaho and law school in Oregon at Willamette University College of Law. He is happily married. He enjoys hiking, reading, and playing and watching sports of all kinds. Jason Short is an experienced trial lawyer who can help anyone feeling like they are buried in legal problems. Jason is proud to provide quality legal representation to his clients facing both criminal and non-criminal matters throughout Oregon. Prior to co-founding the Gilroy, Napoli, Short Law Group, Jason worked for nearly 8 years as a Deputy District Attorney in Oregon. As a former prosecutor, he gained extensive trial experience trying over 160 cases to juries and judges and handling over 6,000 cases. These cases ranged from DUIIs, traffic crimes, misdemeanors, felonies and serious Measure 11 cases. He has even represented attorneys in court facing criminal charges. Jason also gained experience by working as an intern in the United States Attorney's Office in Portland where he tried cases in Federal Court. Additionally, Jason gave several trainings on search and seizure law to new police officers and sheriff's deputies and can now apply this valuable knowledge to his clients faced with similar legal issues. After leaving the District Attorney's Office, Jason opened his own law practice and successfully grew the practice by earning the respect of judges and attorneys throughout the region. He has a reputation for being honest, loyal, helpful and fair. Jason has been named to "The National Trial Lawyers: Top 100 Criminal Defense Trial Lawyers" List. The National Trial Lawyers: Top 100 Trial Lawyers is an invitation-only national organization composed of America's Top Trial Lawyers. Membership is extended solely to the select few of the most qualified attorneys from each state who exemplify superior qualifications of leadership, reputation, influence, stature and profile as civil plaintiff or criminal defense trial lawyers. Criminal Defense Attorney Jason Short was selected in 2014, 2015 and 2016 to join this distinguished group of trial lawyers. Prior to co-founding Gilroy, Napoli, Short Law Group, John Gilroy was a Deputy District Attorney for several years at the Washington County District Attorney's Office, one of Oregon's largest district attorney's offices. There, John prosecuted a wide variety of criminal matters - from misdemeanors, to felonies. His experience at the D.A. 's office provided a smooth transition for his DUII / drunk driving defense practice, criminal defense practice, and personal injury practice. In 2014, John was selected to join the "The National Trial Lawyers: Top 100 Trial Lawyers," an invitation-only national organization composed of America's Top Trial Lawyers. Membership is extended solely to the select few of the most qualified attorneys from each state who exemplify superior qualifications of leadership, reputation, influence, stature and profile as civil plaintiff or criminal defense trial lawyers. John is a graduate of Santa Clara University where he received a B.S. in Political Science in 1993. He earned his law degree at the University of Oregon (J.D., 1998). Prior to law school, John worked as a legislative aide in Senator Robert Packwood's office in Washington, D.C..
John comes from a tight-knit family and is the youngest of seven children. Born and raised in the Portland area, John is the son of the late Clackamas County Circuit Court Judge, Patrick D. Gilroy. Two of John's brothers are also attorneys in the metro area. John is the married father of five children. Aside from spending time with his wife and children, John enjoys golf, skiing, fishing, basketball, hiking and camping.